As any dog lover knows, it's bittersweet to watch your favorite four-legged friend grow up. However, there's no denying that's it's incredibly cute to look back on photos from the puppy days. 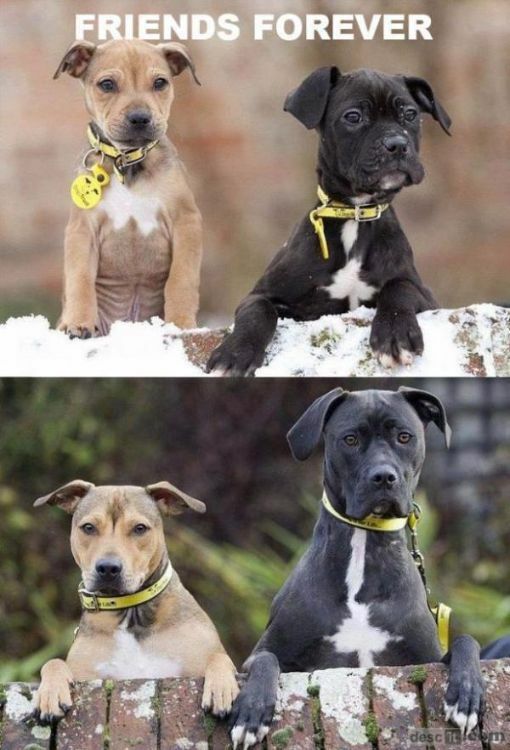 What's even more adorable is when you have pictures of puppy pals that have been together throughout the years. If you are in the mood for some total cuteness (and who isn't?) 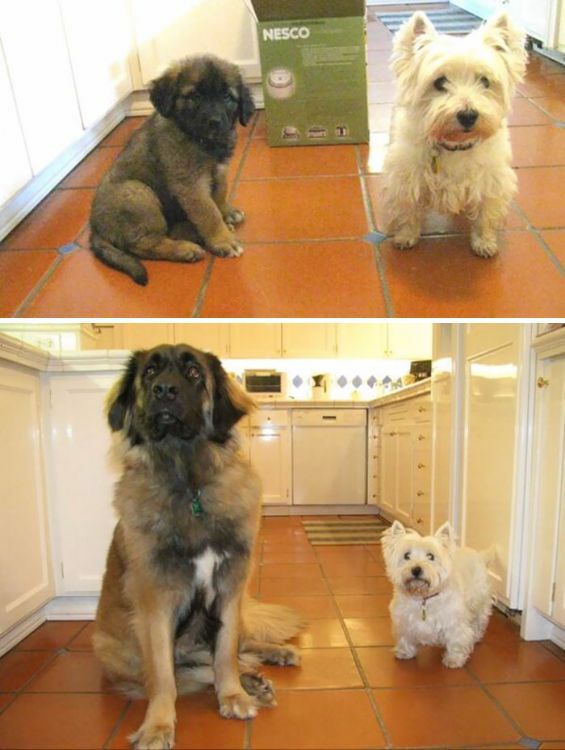 then you'll definitely want to check out these pictures of dogs who have grown up together. They are guaranteed to make your day just a little bit better! 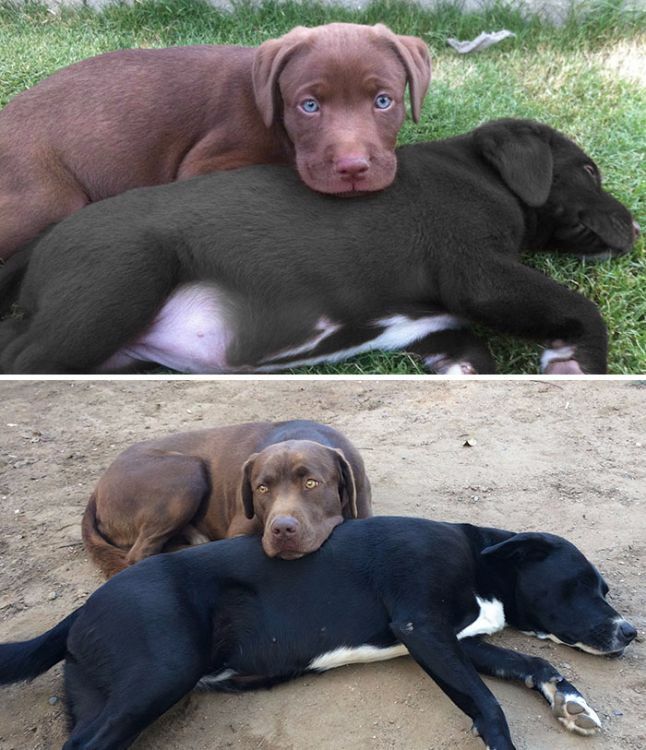 These pups know just the right position for snuggling and snoozing together.Who says you have to stop laying on your best friend just because you get a little bigger? They may have started out nearly the same size, but it looks like someone got some extra kibble for breakfast! 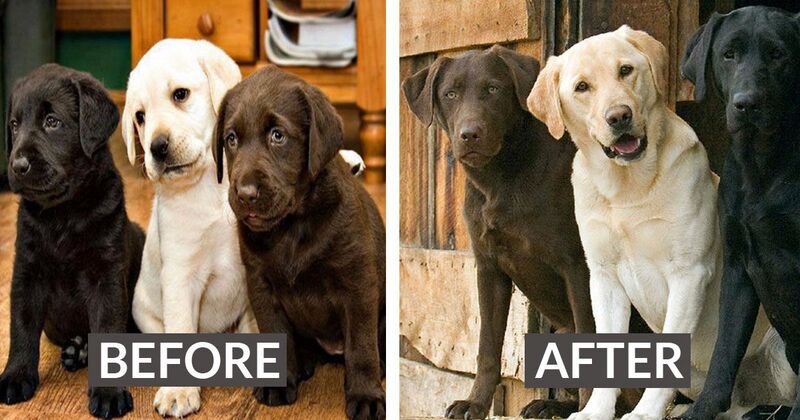 These two prove that friendship comes in many different sizes. 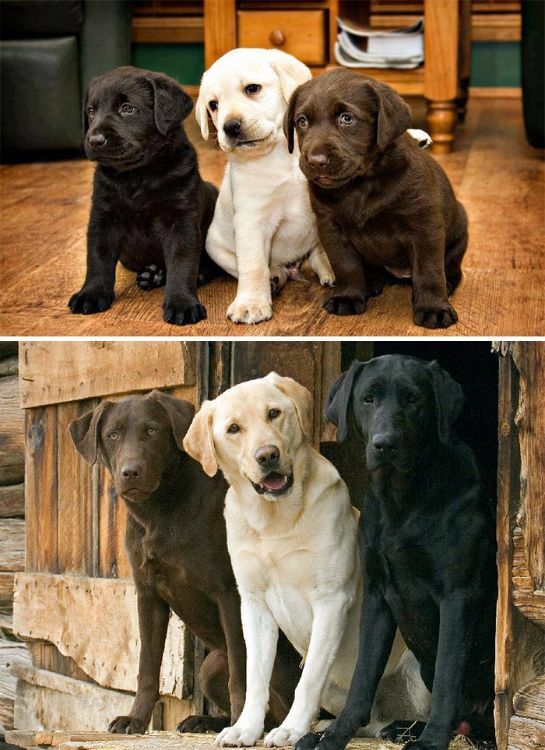 How adorable is this trio? Even as grown-ups, their personalities shine through. Check out the guy in the middle, he's always been full of personality. Hey, when you find your favorite pillow you just stick with it! Even though the little guy is no longer a puppy, he still curls up wit his best pal. Not much has changed for these guys in the years that they've been together. Look at how comfortable they are wit each other! This pup is best friends with a considerably older dog. Looks like it hasn't impacted their ability to bond the least bit. So peaceful! 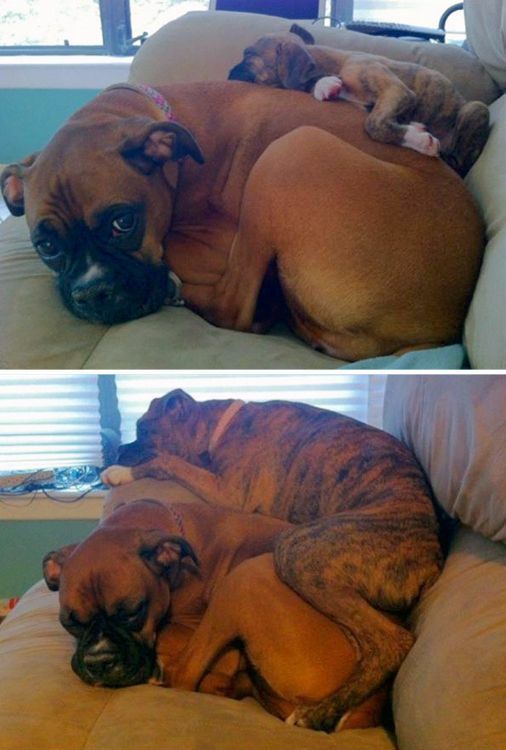 This dog used to be the biggest pup around protecting her best friends. Who is protecting who now? 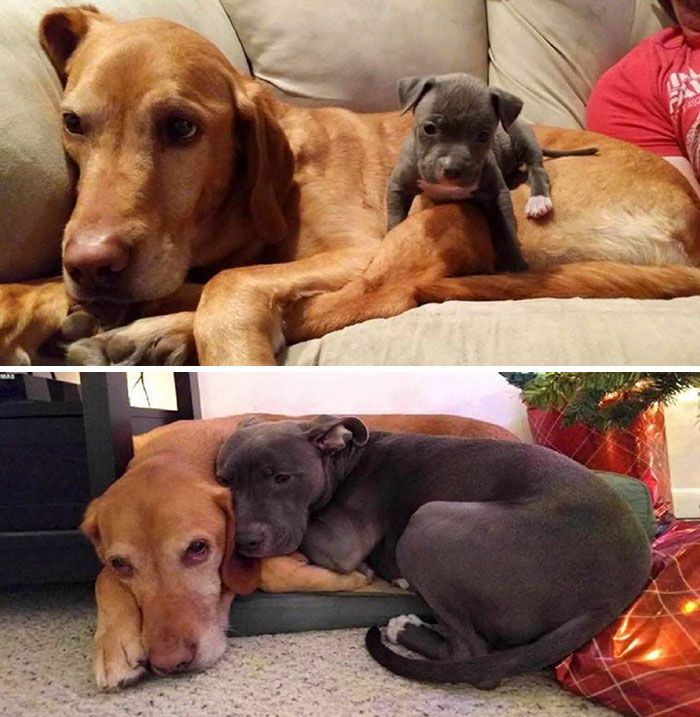 What has changed between these doggie best friends over the years Absolutely nothing! Well, except it might be easier to look over the fence now! 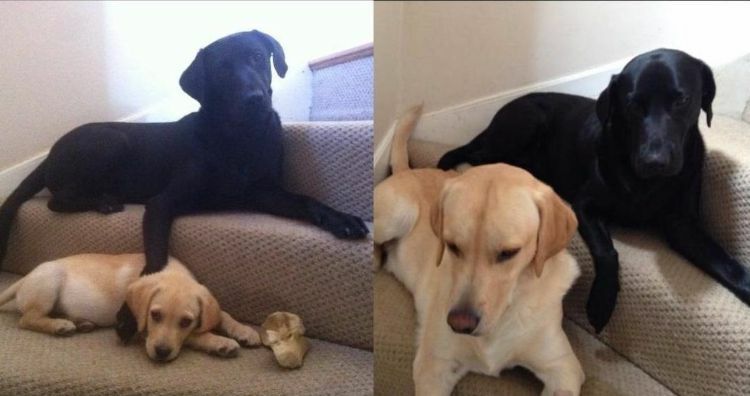 Looks like the stairs is the resting spot for this duo! Close then, closer now. Love te bond between these two! Dog best friends are the absolute cutest! Share with your friends to bring a smile to their face!